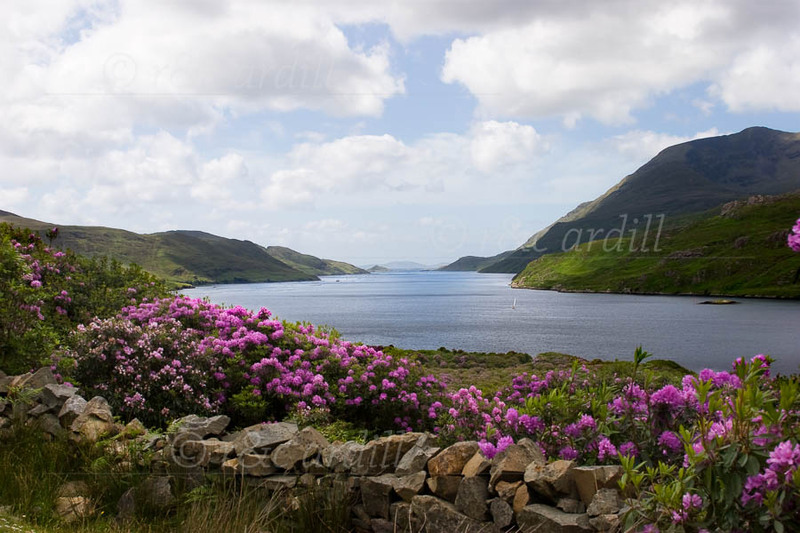 Photo of: West of Ireland: Connemara: Killary Harbour. A view of Killary Harbor from the road leading up from Leenaun. Rhododendron covers the hillsides in early summer.